Are you or your teen ready for braces, but cringe at the idea of traditional metal braces in your mouth? 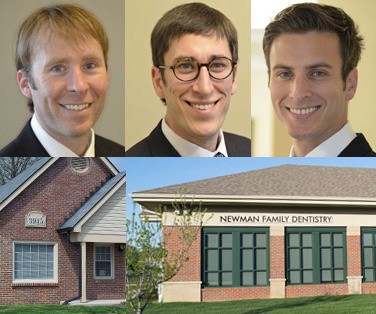 At Newman Family Dentistry, we treat many patients who need braces but are seeking an alternative to cosmestic dentistry in the Indianapolis or Carmel, IN area. 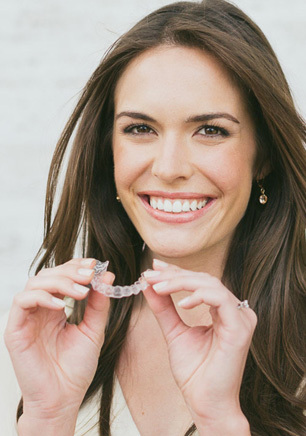 Invisalign and Realine are clear aligners used to straighten teeth. They have become amazingly popular for both teens and adults. For adults and teens alike, with clear aligners, there are no painful sessions to tighten traditional wires. Brush, floss, and eat as usual. Realine is a different brand of clear aligners that uses the same concept. It is usually prescribed for patients with only minor gaps between teeth, as opposed to patients with extremely crooked or out of line teeth. With Realine, the general number of aligners created and used is only five, and a full course of treatment could last as little as 10 weeks. Why Choose Invisalign or Realine Instead of Regular Braces? The main benefit of Invisalign and Realine is that these systems eliminate the fears many people have about traditional metal braces. When you use clear aligners, there's no painful dental visits to tighten wires. You can take off the aligners to eat, brush your teeth and floss. Other people won't even know you are straightening your teeth! Both systems are appropriate for use in teens and adults. The main issue with this type of treatment is non-compliance, because the aligners can be removed by the patient. Those who seek Invisalign or Realine should understand that the treatment will only work if the aligners are worn the majority of each 24 hour period. Call our Carmel or Indianapolis office about Invisalign or Realine, and ask for an evaluation, or Request an Appointment. We can determine if you are a good candidate for either orthodontic system, and walk you through the process of getting started on the path to a terrific smile!